Happy Friday from my new office! Well, not really. One of my new clients offered me an opportunity to work in their office a few hours a week and I jumped on it. First off, it’s a really cool space. IT IS DOG-FRIENDLY. And also, it’s really lovely, as a freelancer, to be back with a lot of people, at a formal desk, amongst like-minded folks. Also, they have food trucks three days a week FOR THE BIG WIN. I’ve settled in quite nicely to being my own boss (and my assistant’s boss), but I did miss things about being in-house. A nice way to start my year indeed. I read this article about open office spaces and it resonated with me. I know they are trendy but lord, I hate me an open office space. What about you? This couple registered for BOOZE for their wedding. A stroke (sip?) of GENIUS. Elina Shatkin from LAist 100% nailed this letter to milennials. 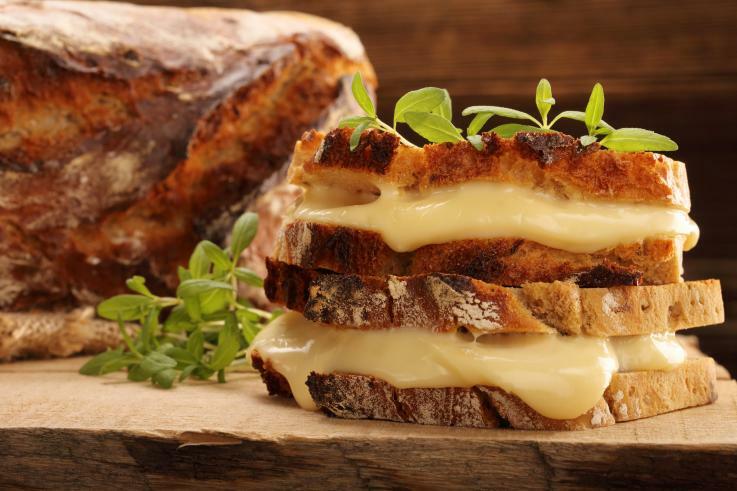 The new rule is that eating butter and cheese can prolong your life. I SHALL LIVE FOREVER. I am 100% going to make these gooey buttery cookies from A Beautiful Mess. Perhaps this is how I will introduce myself to my new officemates. Chris Lam snagged a fabulous leopard print “teddy bear” coat and I LOVE THE LEWK. I want a fluffy coat now. I hated them before but she’s converted me. I was gonna go leopard print, but now I am all about this red bomber. I must remind you that I am not a fabulously successful BRUNCH JOURNALIST. I mean, my second article is now published. Read it. I’m diving into my awards season screeners and thus far have seen The Favourite, If Beale Street Could Talk, and Can You Ever Forgive Me. Last week I also watched RBG. All fantastic. All highly recommended for different reasons. Betty White turned 97. NINETY. SEVEN. And she is still a mother-effing BOSS. How did she celebrate? WITH A POKER GAME. PR Pros salivating over vegan sausage rolls!? Okay. Here’s why. So, a group that advocates for medical marijuana was turned away for commercial air time by CBS for the Super Bowl. A bummer to be sure, however now they’ve got everyone seeking out the “banner commercial.” Not a total loss from a PR standpoint. They should be capitalizing on that more, though. The video has less than 50K views as I write this.